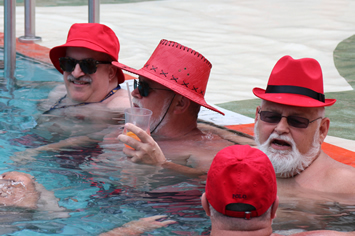 Join like minded bears, cubs, chubs, chasers, their friends and families on Arno's Bears Western Caribbean gay group cruise. We set sail from Miami to beautiful Roatan, Costa Maya, Cozumel & Cococay on brand new World's Largest cruise ship, Royal Caribbean's Symphony of the Seas ! Palm-fringed beaches, pure white sand, turquoise seas, thrilling watersports and superb shopping – you’ll be in paradise on your holiday to the lovely Caribbean. Feeling adventurous? Why not parasail above the sun-soaked sands at exclusive Cococay or try an encounter with dolphins and stingrays. 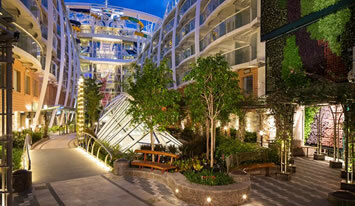 You will love the aquapark and underwater treasure hunt at Cococay or you can chill out at the floating bar. 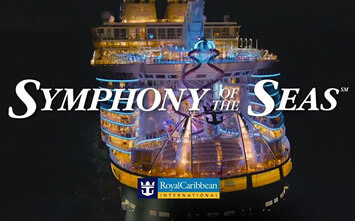 The new sound of adventure, Symphony of the Seas , is music to your eyes and ears, a floating adventure of fun, with all the classics you love and new hits that will blow your mind including incredible shows, robotic barmen and slides. Introducing the Symphony of the Seas - the newest addition to Royal Caribbean's award-winning Oasis Class fleet. The world's biggest ship with the world’s best features just got even better. 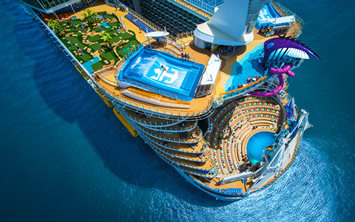 There's no turning back once you take the plunge 10 stories into the mysteries of the deep on the tallest slide at sea, Ultimate Abyss, as well as the exhilarating multilevel Perfect Storm slides. As the kids explore Splashaway Bay, take a tree-lined stroll through Central Park, or find your own haven in any of the other seven iconic onboard neighborhoods. Sip a post-dinner cocktail crafted by a robot in our unique Bionic Bar, and share every moment with not just your family onboard, but friends back home with VOOM - the fastest Internet at sea. 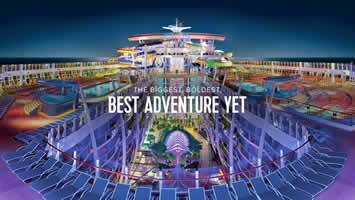 Discover the biggest, boldest vacation ever on a ship unlike anything else on the ocean. Clocking in at 1,188 feet long and with 18 total decks—about the height of the Leaning Tower of Pisa—this ship dominates with the title of the largest in the world. 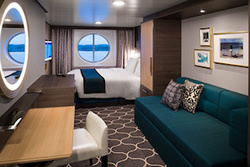 There are more rooms for guests on Symphony than previous record holder, with 2,775 total staterooms (28 more than Harmony). To ensure our guests have the best vacation possible, there are 2,175 crew members hailing from around the world. 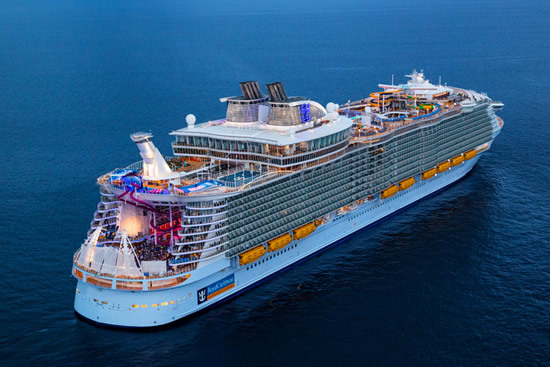 If you were wondering how this mammoth moves, there are four bow thrusters each with 7,500 horsepower to swiftly propel guests to every destination the ship visits. Symphony of the Seas offer guests seven distinct neighborhoods, like the tree-lined Central Park and the luxury shop-filled Royal Promenade, creating unique areas for travelers to enjoy and explore. 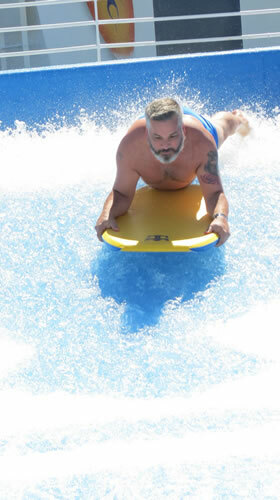 For adrenaline-packed adventure, Symphony also has the 10-story slide Ultimate Abyss; a trio of waterslides; and Splashaway Bay kids waterpark. In addition, a second pool will be added to the Solarium on deck 15, meaning even more space for adults to kick back and relax. 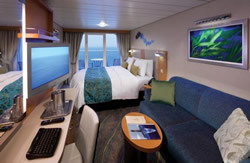 Our ship boast a sea of vacation possibilities for every guest. Like the chance to learn Italian, salsa dancing, or the recipe for a perfect martini. To conquer the rock climbing wall and ice skate on the equator. Or slow things down with a hot stone massage and duty-free designer shopping. See, do and learn more at sea than you ever thought possible. Let's hear a round of applause for an unrivaled entertainment lineup—an amazing array of shows and performers, included with your cruise fare. 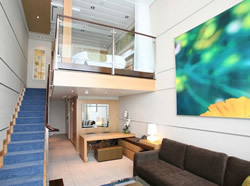 Picture Broadway shows just steps from your stateroom. World-class performers that WOW on stage, ice, and in the water. And when the sun goes down, the night heats up with energetic parades, live music, comedy shows and much more. 16 Feb A Day at Sea! 20 Feb A Day at Sea! Days 2 - A Day at Sea! Soar through the skies on a zip-line, snorkel in turquoise waters or soak up the sun on an idyllic private beach. It’s your choice on the beautiful island paradise of Roatán, home to the second largest coral reef in the world. Dive among the colourful corals, sponges and fish or swim with dolphins for the experience of a lifetime. See 2,000 iguanas or pet capuchin monkeys and macaws at Iguana and Gumbalimba Parks. 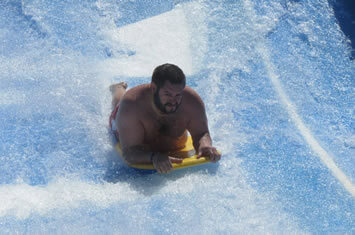 For aqua fun with the family visit Maya, the Lost Mayan Kingdom waterpark in Puerto Costa Maya in Mexico. 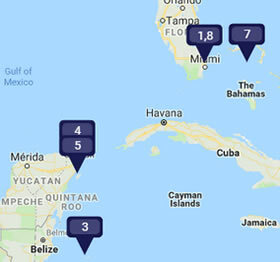 The paradise beaches and translucent lagoons make for some dream outdoor activities such as snorkelling, sailing and scuba diving and inland there are real Mayan ruins to explore. Look out for toucans, spider monkeys, and iguanas on a 4x4 adventure into the jungle interior. Day 6 - Day at Sea! Whether you seek an adrenaline rush or total tranquility, our ship have it all. Try rock climbing, ice skating and mini golf on green that overlooks a sea of blue. Melt away land-based stress with a spa massage, build a scrapbook of memories or simply relax poolside. World-class performers from across the globe come together on our ships to WOW you from morning to night. Catch Broadway musicals, the DreamWorks Experience, ice-skating spectaculars — plus thrilling casino action, live comedy and music, bars, clubs and much more. Be one of the brave first to conquer the tallest waterslide in North America and snap a shot from 400 feet up in a helium balloon. Grab a drink at the swim-up bar and soak up the scene in the largest freshwater pool in the Bahamas. Or get a taste of Bora Bora with your own overwater cabana. This is perfection created for you. This is Perfect Day at CocoCay — only on Royal Caribbean®. 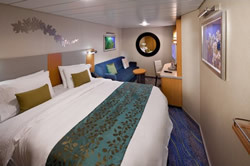 Taxes of $138.51pp, gratuities ($101.50 pp) and optional insurance are additional. Also included are the traditional Arno's Bear Cruise activities, subject to minimum participation. To enjoy Arno's Group functions and excursions you must reserve room with us. If you cancel 90 days before departure: $150; 89-57 days: $350; 56-29 days: 60% of total price; 28-15 days: 85% of total. Less than 14 days: 100% of total. Costs are applied to total (incl. Taxes). Web Page © Happy Travel, Ltd. Logos and Images © Arnos Bear Cruises, Atlantis Events Inc., Cruise4Bears, etc.